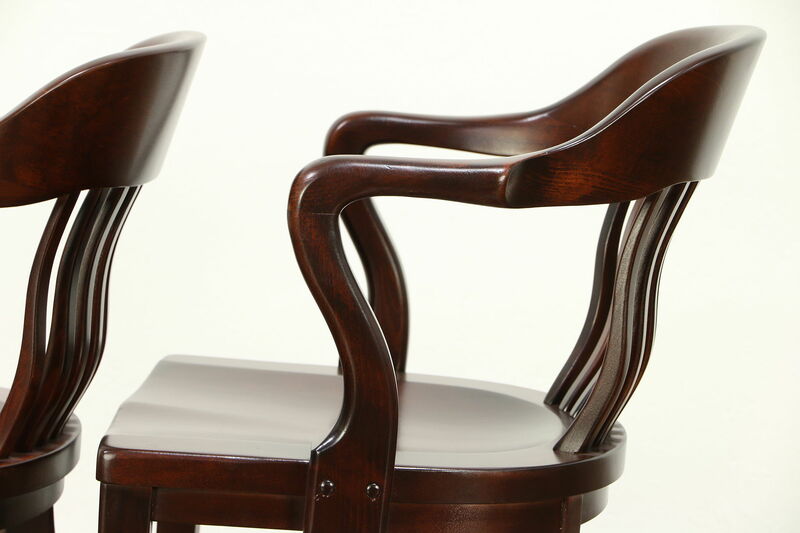 Made for a Milwaukee bank about 1910, a pair of solid birch desk, office or library armchairs has been restored to serve another generation. 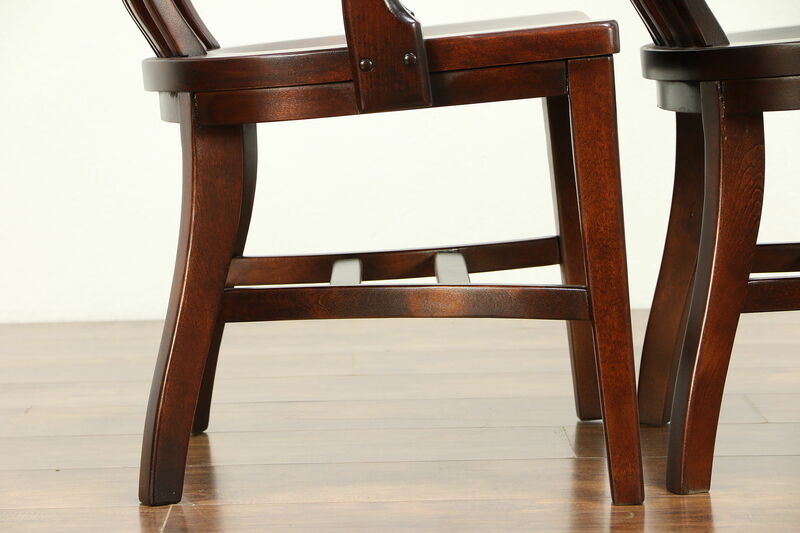 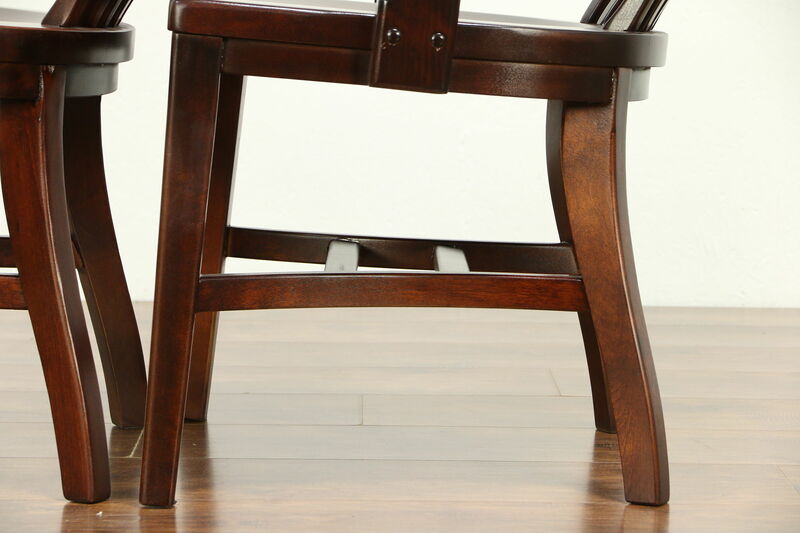 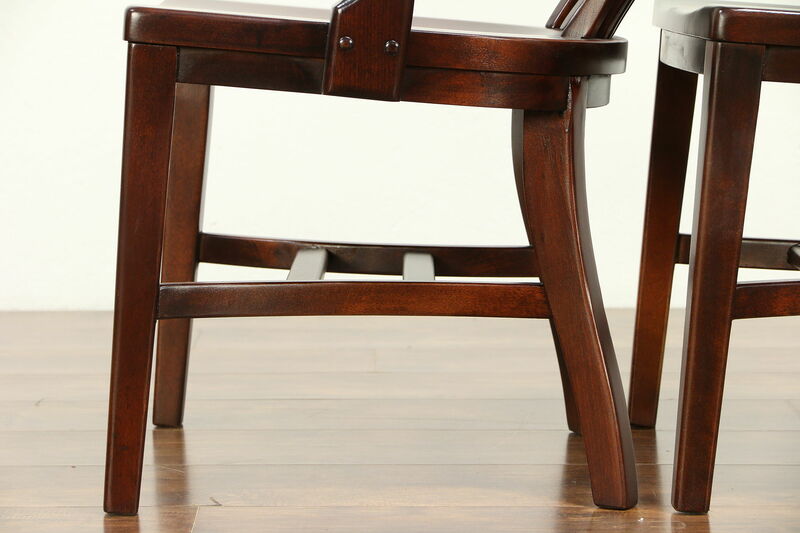 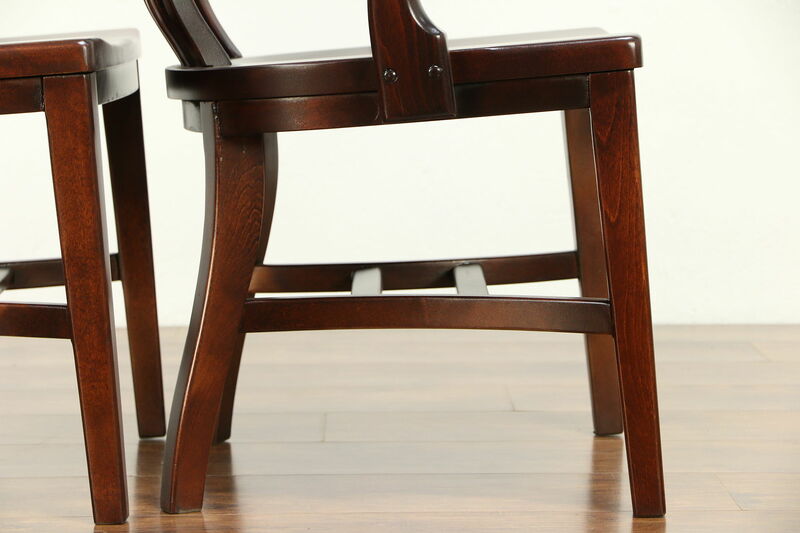 This is sturdy commercial grade furniture. 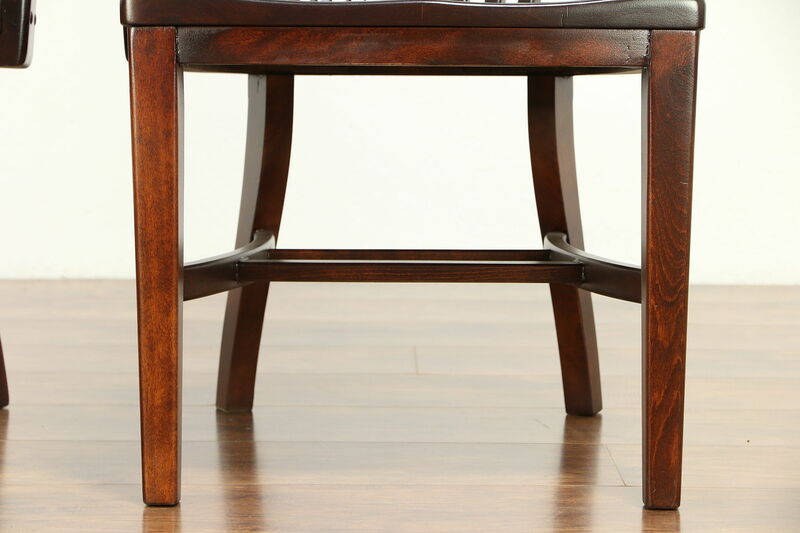 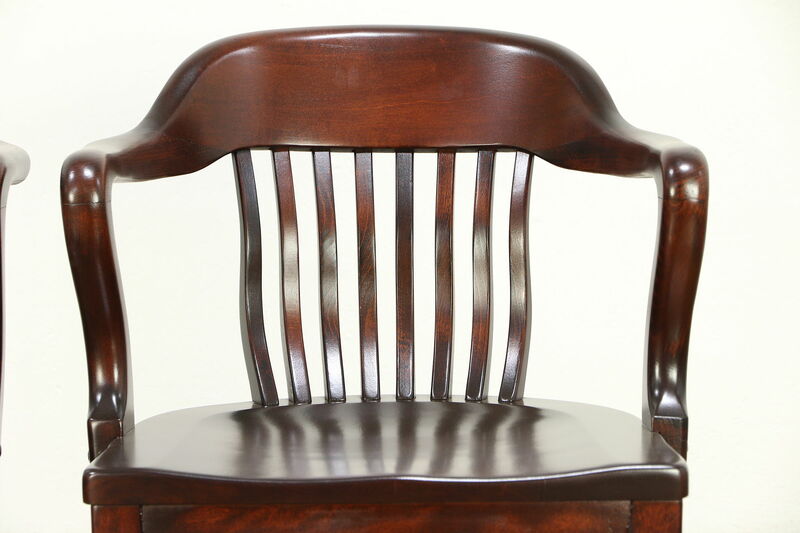 The restored mahogany toned finish is in excellent condition on the rugged reglued frame. 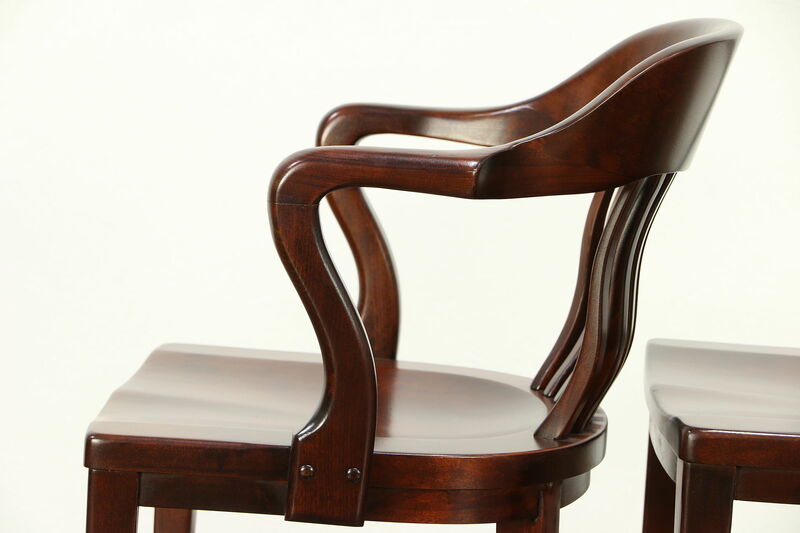 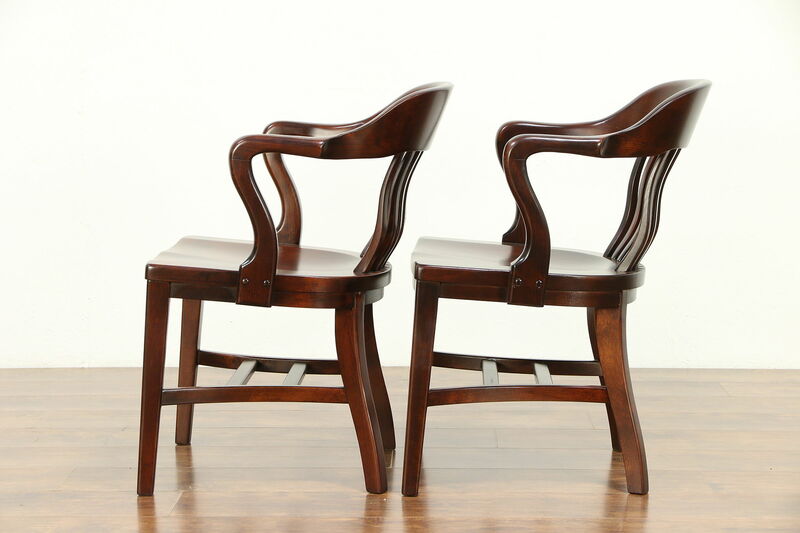 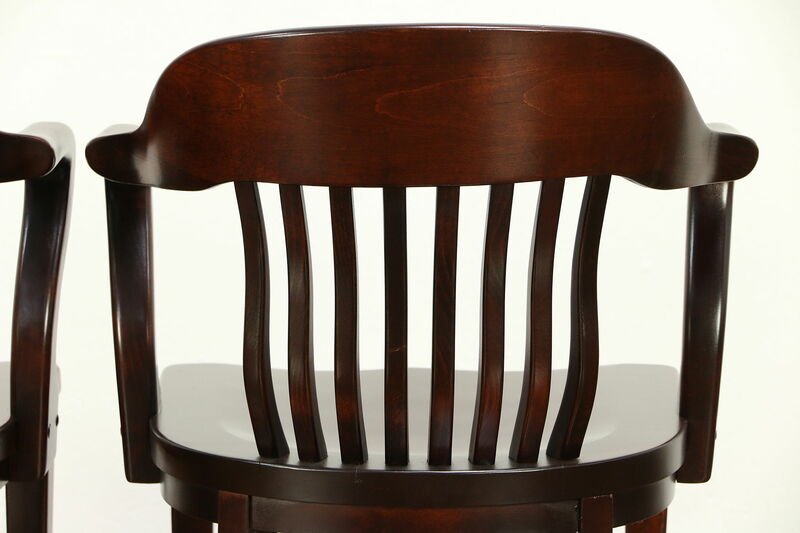 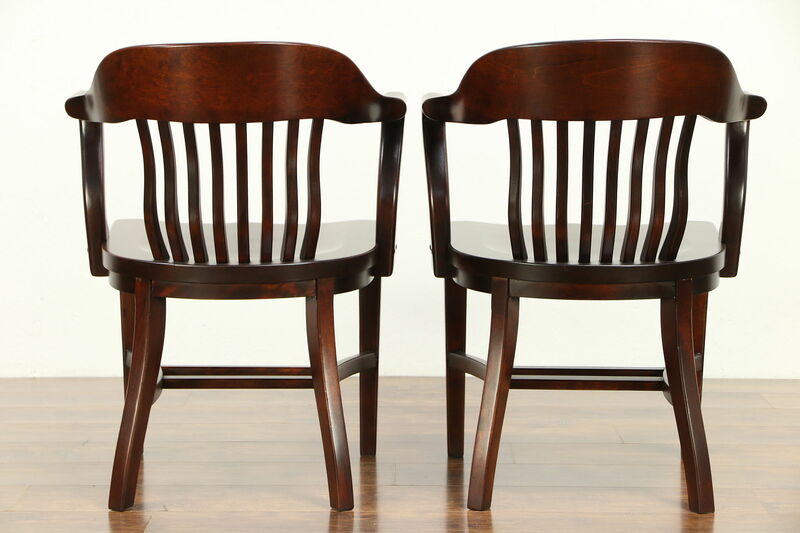 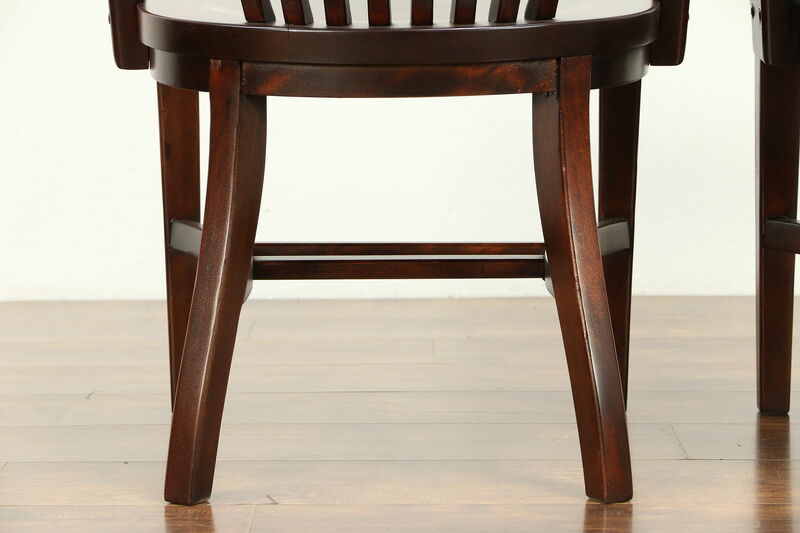 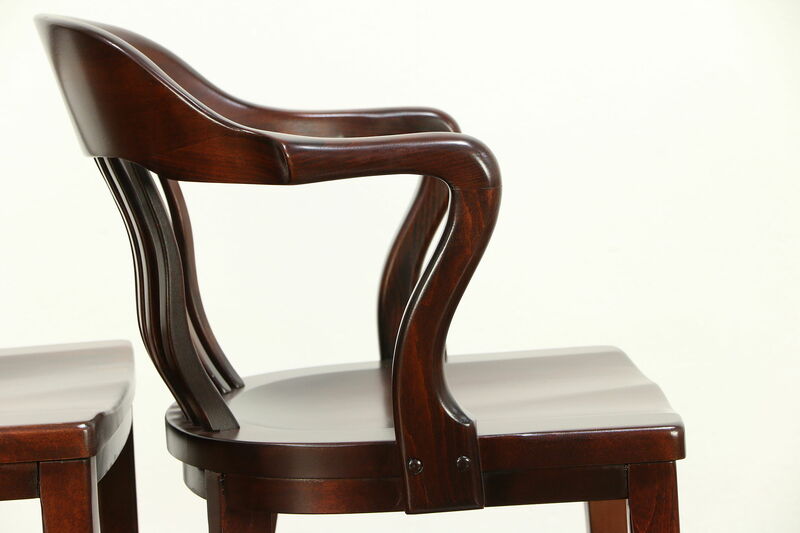 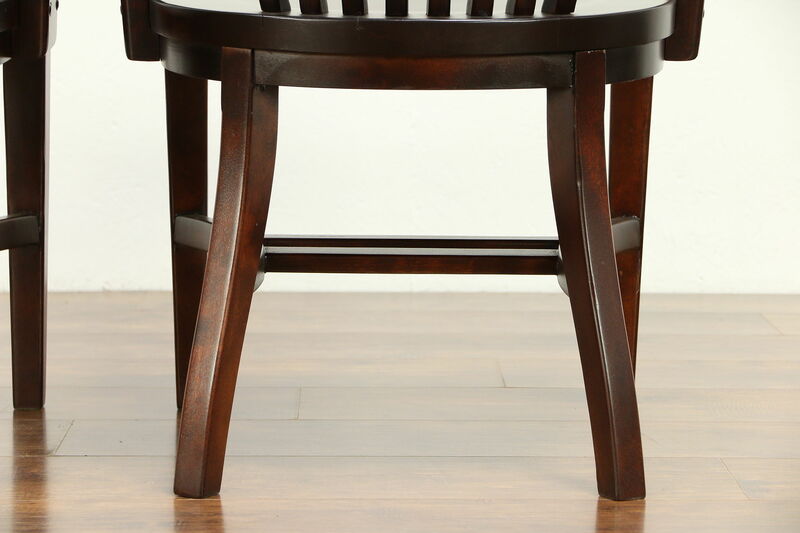 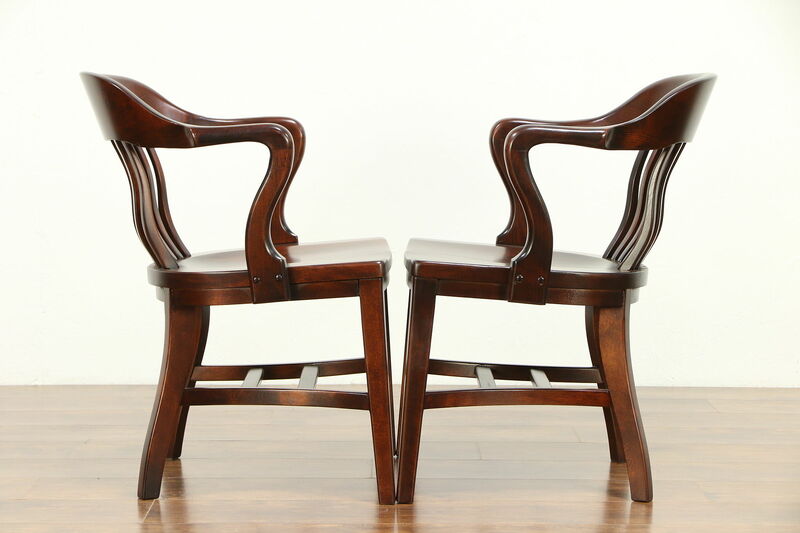 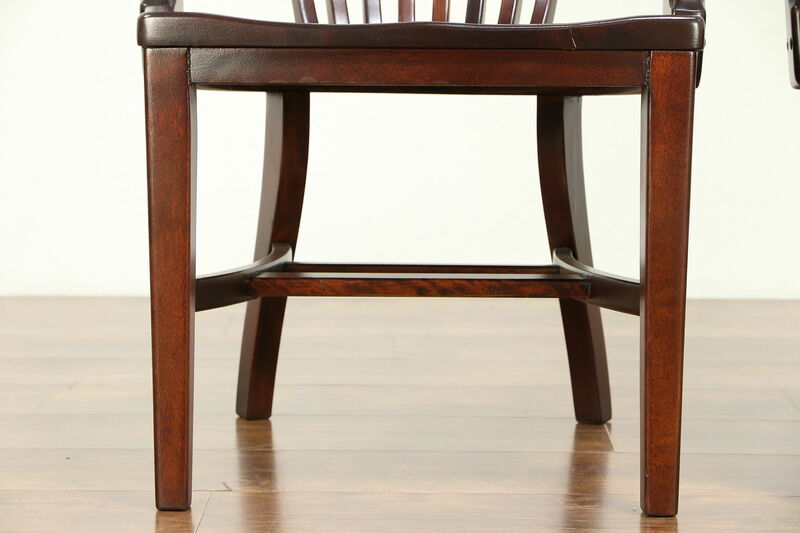 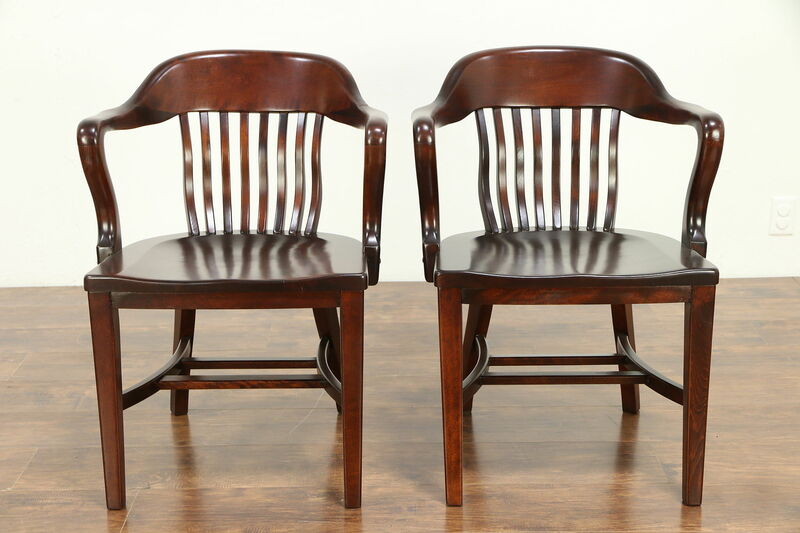 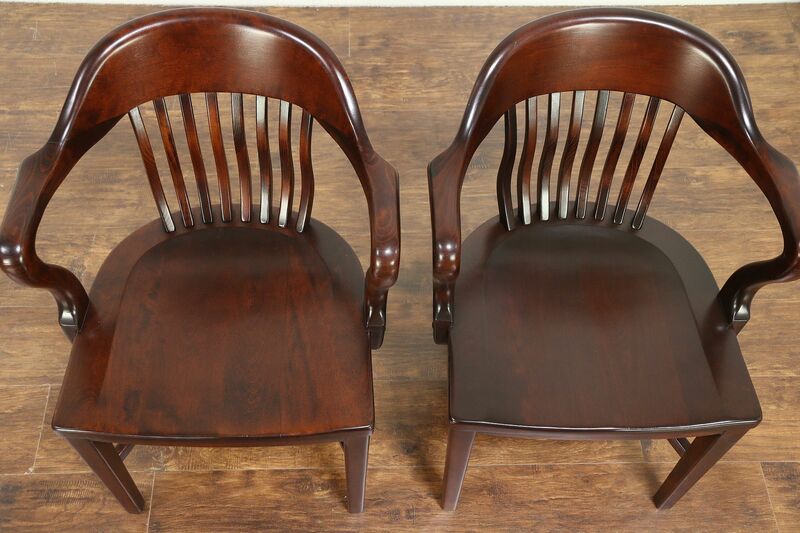 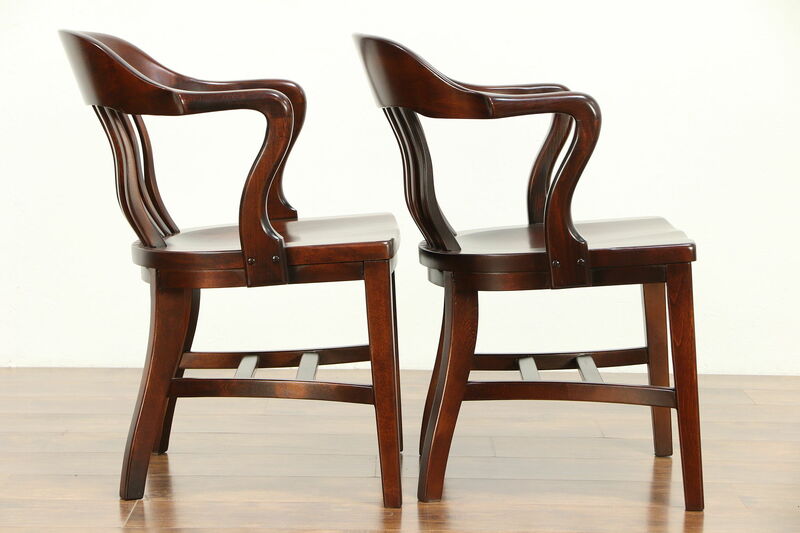 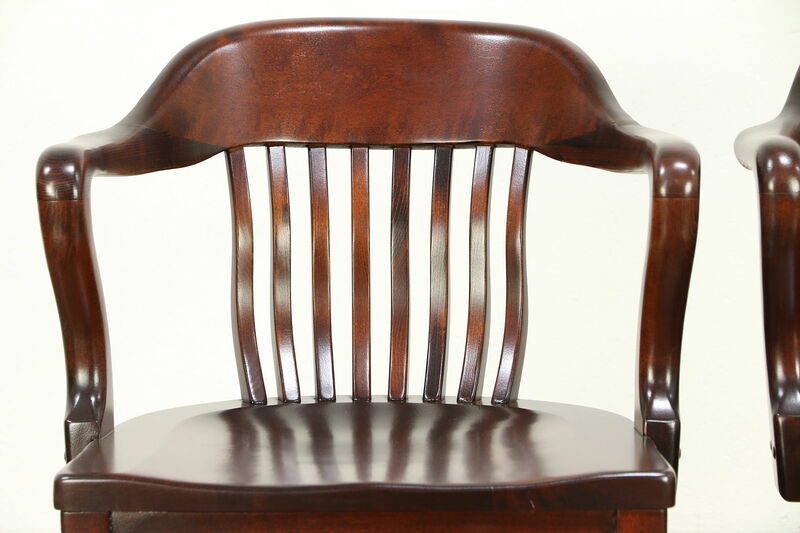 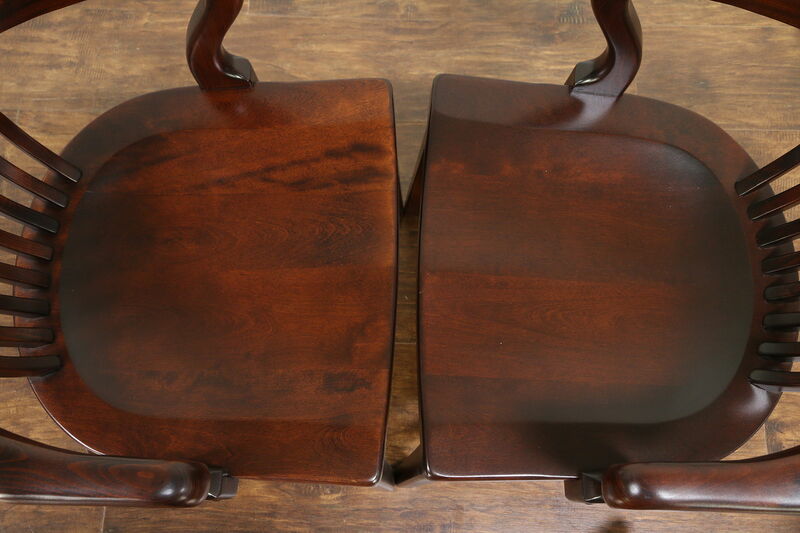 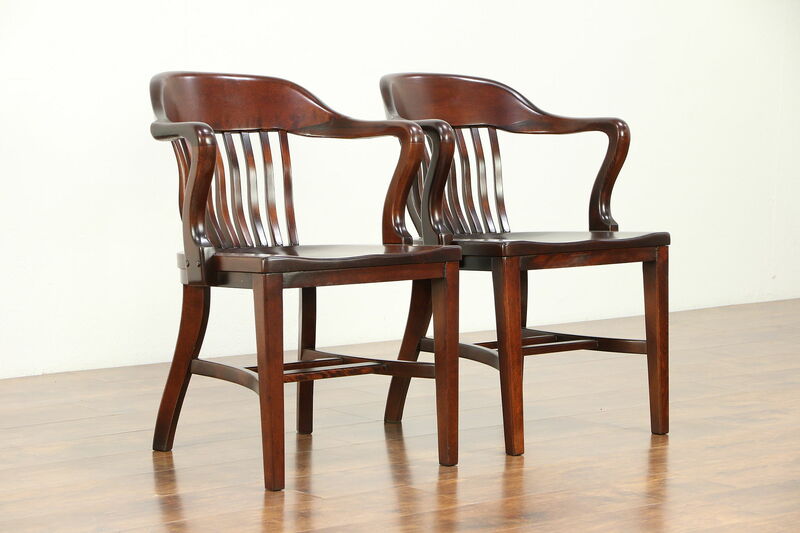 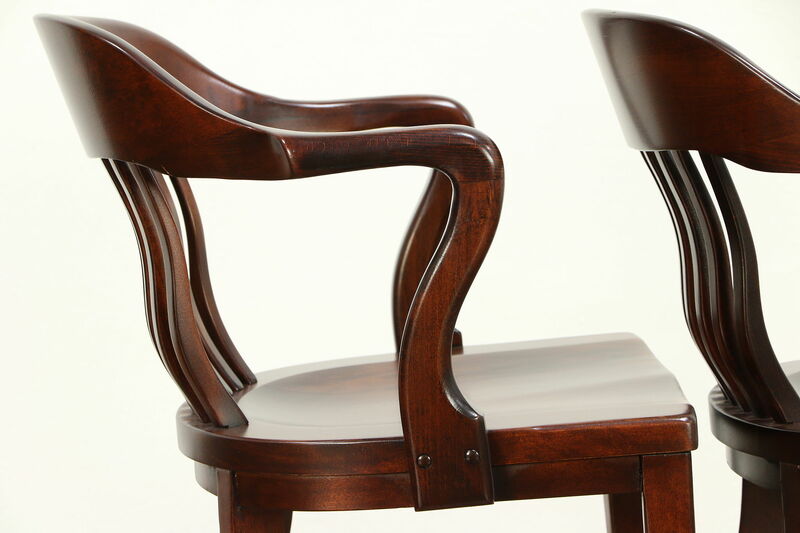 American made antique furniture, shaped lumbar spindles and the sculpted seats are very comfortable. 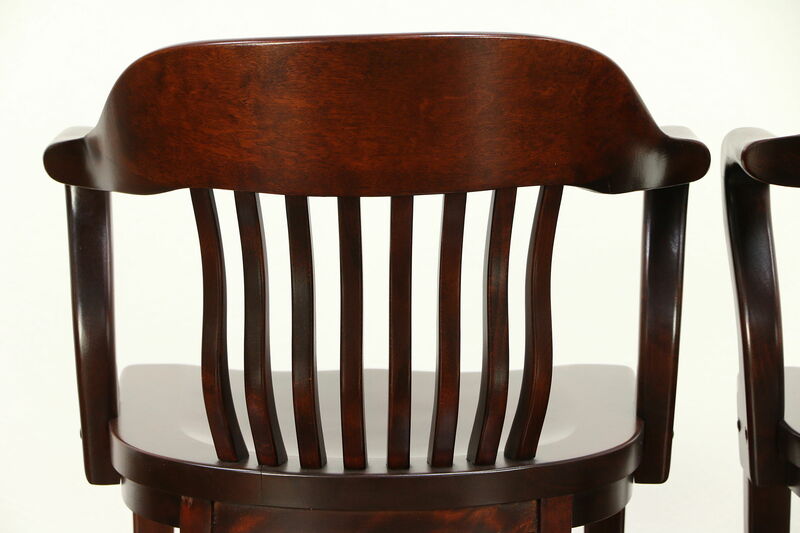 Size is 24" wide, 23" deep and 32" tall, the seat is 18" tall and 17" deep.